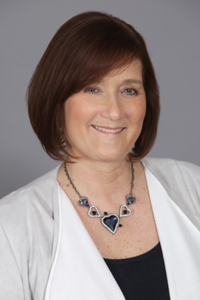 Kim Olver, MS, NCC, LPC has been involved with social service agencies since 1980, holding a variety of positions from case manager to Assistant Executive Director to Director of Training & Development. She has consulted on training, leadership development, diversity, treatment programs and management styles. She has a graduate degree in counseling. Sylvester Baugh has been involved in the field of training and communications since 1980. He worked over 20 years for Aunt Martha’s, a full service child welfare program, where he fulfilled many positions. He has done training for various agencies, including United Airlines, in the fields of diversity, bullying, communication skills, and negotiation. He has a degree in communications. 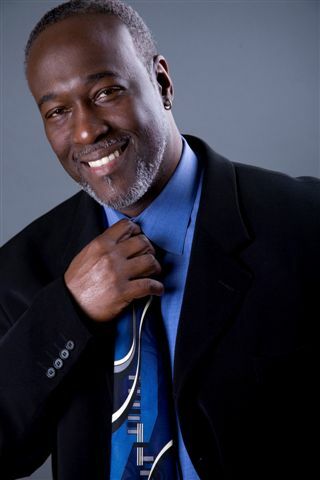 Marcus C. Gentry is the founder and president of A MasterMind Creation (AMC), and is the founder and creator of the R.E.S.P.E.C.T. Academy and Program, which uses a combination of scientifically research-based methods and principles that produces a practical and commonsense approach to successful living and induces lifelong learning with a focus on race-specific areas. He is truly an empowerment expert with keen insight into the needs of minorities in the United States. "Kim and Sylvester have taken a fresh approach to teaching workplace diversity. Rather than simply stating facts and preaching about the importance of cultural competence, they have interjected their own personal experiences of facing challenging interactions both in the workplace and in their private lives. Sharing their personal stories makes the learning process all that more real. In addition, they use very good metaphors to make important points--again a much more instructive tool than dryly stating rules and regulations. Kim and Sylvester start the diversity learning process at the beginning by asking the reader to look at him or herself. They gently challenge the reader to explore myths, beliefs and prejudices while guiding him/her to the realization that much of the prejudices and stereotypes we all bring to the table are not of our own making but are, in a sense, inherited from our own life-upbringing. The authors go on to lead the reader into the possibility that our old lenses can be changed and we can choose to see things differently--from a more open, tolerant learning perspective. They give the reader permission to forgive him/herself for past mistakes and intolerances, while at the same time putting the responsibility on the reader to be the force of change." "It was my honor to be allowed by Kim and Sylvester to contribute a chapter to this book. The universe operates effectively based on balance. Today's society has become diverse in schools , many communities and in the workplace. It is my belief that unless our thinking allows us to leverage this diversity or find the balance that we are now a part of, we will be less than effective. Albert Einstein says: ‘We can't solve problems by using the same kind of thinking we used when we created them’. This is a new age of existence and culture. This book helps those interested in increasing their effectiveness to be able to adjust their thinking by learning the skills necessary for leveraging diversity while developing a better understanding of cultures that become a part of the work place. A must-read for all employers who seek to remain on the cutting edge." "I am the Wallet Doctor because of my Ph.D. in finance. Because of this, few people know that I hold a master of international management from Thunderbird — the premiere university graduate program in international business. A required course in Thunderbird's curriculum is "Cross-Cultural Communication." The reason for this is because of the enormous conflicts and faux pas by "ugly Americans." Corporations lose billions of dollars annually due to inappropriate responses from perceived cultural separation. I remember a Rotary GSA Exchange between Brazil and California I participated in. The leader, a prominent California banker, although skilled in banking finance, understood nothing about managing diversity. In my absence on one weekend of the exchange, one member of the group committed a faux pas in Brazilian high society that was so grave that when I later became aware of it I discovered that we were slated for deportation. I was able to heal the separation between cultures only by applying knowledge from my graduate studies in international business to get the wealthy and powerful Brazilians I was dealing with to understand "the other side." This same knowledge is in this book. For this very reason Kim and Sylvester's book, "Leveraging Diversity at Work" should be required reading for every person interested in entering corporate management." Leveraging Diversity at Work lays the foundation for the transformational work that must be done first with every member of a company. First of all, the members of the majority culture---in the business community that is generally white, upper middle class males---must understand the reason why managing diversity is in the company’s best interest. Then, they must develop some empathy for what it truly is like for members of the minority culture. Only after that inside out work is accomplished will a managing diversity program be effective. Without the internal mindset sift, any diversity initiatives will be undermined, either consciously or subconsciously by the majority culture and those in positions of power. Another thing that makes this book unique is that it addresses the responsibility of minorities in creating an environment where diversity is valued. Until members of a minority culture can embrace who they are and recognize the true value that they bring to the table, it makes it difficult for others to value what they have to offer. This book helps minorities develop a strong sense of self and an appreciation for what they have and who they are so that they can solidly add to their company’s vision, mission and strategic planning. Leveraging Diversity at Work lays the foundation for the transformational work that must be done first with every member of a company. First of all, the members of the majority culture—in the business community that is generally white, upper middle class males—must understand the reason why managing diversity is in the company’s best interest. Then, they must develop some empathy for what it truly is like for members of the minority culture. Only after that inside out work is accomplished will a managing diversity program be effective. Without the internal mindset sift, any diversity initiatives will be undermined, either consciously or subconsciously by the majority culture and those in positions of power. Yes, you can regulate behavior as long as you are there to “catch” people when they aren’t behaving as you’d like, but if you want true compliance with diversity incentives, then you must create an environment where workers understand the value and importance of embracing differences. Our book starts in that very place. Many companies have avoided diversity training that really gets at the root of the issues because when they look around at their workers, everyone seems to be getting along fine. There doesn’t seem to be much disharmony on the surface and they are afraid to talk about differences because that may “stir up things.” Well, in order to stir things up, there must be something there to stir in the first place! We all have cultural values and influences that determine our behavior on a moment-to-moment basis. Most of these things occur on such an automatic, nonconscious level that we are really at the mercy of our early conditioning. Bringing these issues to consciousness and closely examining them is the only way to really impact our thinking and subsequently, our behaviors from the inside out. When done well, good diversity initiatives provide a road map for the entire company or organization to follow. This creates a workplace where everyone is aware of the direction of the company and understands his or her role in supporting that vision. Everyone can be on the same page at the same time. When employees have experienced the type of preparation this book endorses, then they will have the internal motivation to embrace difference. You won’t have to be standing over their shoulder to get them to cooperate. External supervision will not be necessary for most employees. When you buy the book at anytime, there is a special bonus gift that is offered inside the book. But you have to buy the book to find out what it is.